Monster Safes is pleased to introduce the MS200 a secure and affordable handgun storage safe solution. The MS200 is perfect for home travel or concealed-weapon permit holders. The MS200 meets TSA airline firearm guidelines and fits discreetly in a bag, briefcase, desk, or under a vehicle seat. The MS200 features an easy-to-operate key lock system, 18-gauge steel construction, and 1/2-inch per side thick memory foam interior. 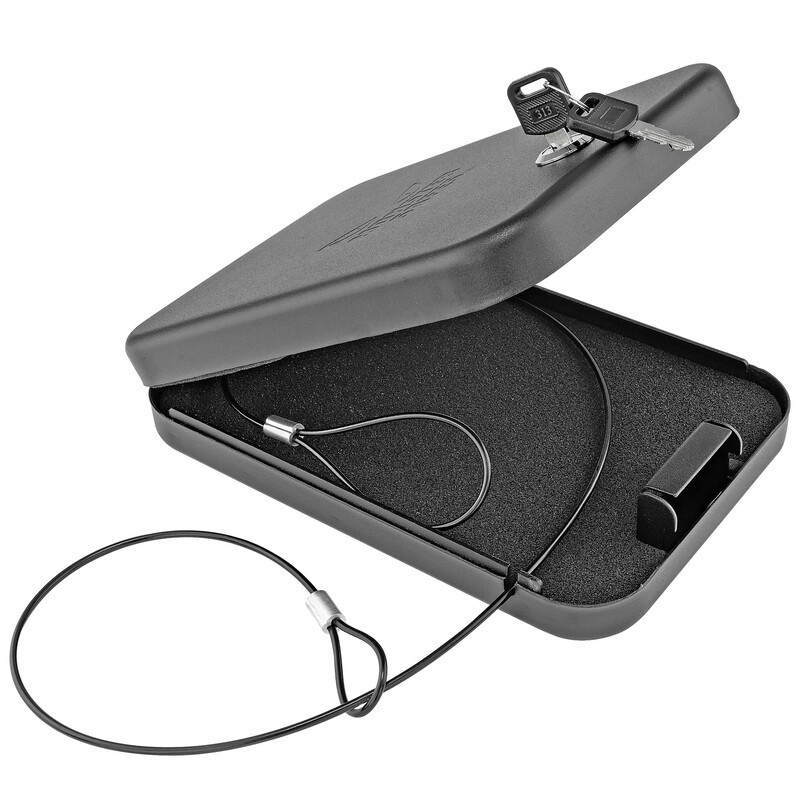 When the cable is wrapped around any fixed object and slid over the lock receiver inside the security box both the MS200 and any valuables will be securely attached.